Hi everyone! 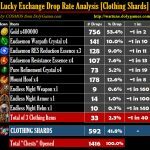 In this article I share with you my report on the Haunted Sickle Lucky Exchange drop rate analysis (with Terra Grass and Potency items) called the Limited Haunted Sickle Exchange. This Lucky Exchange showed very interesting items when it appeared. Pretty much all the rewards dropping from it are useful items both to low BR and high BR players (all except Animation stones which are maxed for many players). But of course it was interesting to analyze and see if the actual result was actually as good as expected or not. 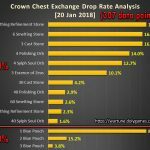 As Terra Grass, Dragon’s Whisper and Perfume Chests were both in “Normal” and “Rare” rewards I did expect or hope that we will get more drops from these and we will see in the results below that they did indeed drop albeit not in large amounts. Note: please also note, as mentioned on the picture report that this is report with 200 Exchanges done. 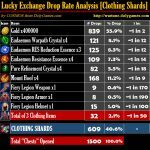 So, as the sample size is huge, this report is only good to get an decent idea about the exchange but should not be expected to be super-duper accurate (I will try to make an update later if I get more chests and decide to do more of this exchange). Wraithstones were actually as expected. 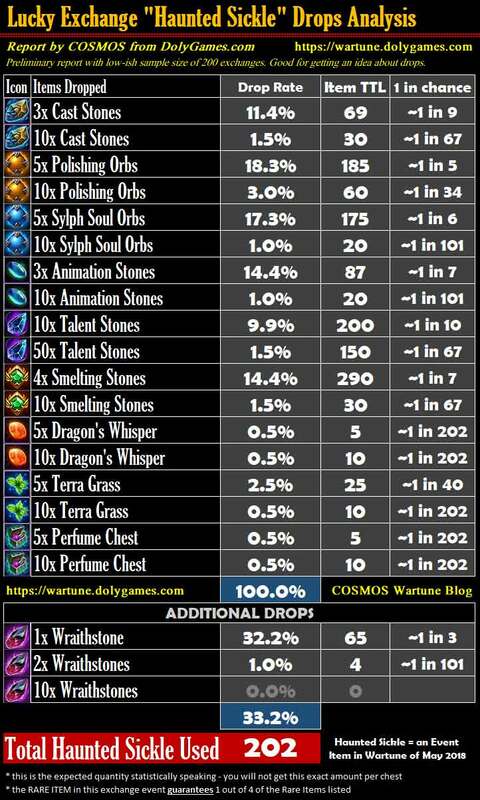 Very often the “Additional Items” or rewards dropped are around 33% in Wartune. It is not always like this but I’ve seen it often. So in this case getting 65 drops of 1 Wraithstone was really useless – a very insignificant amount. But can be considered as something small / extra on the side. As expected, the Terra Grass and Potency items dropped rarely, but did drop, so not as bad as the first rare Terra Grass configuration. Terra Grass had a drop rate of 3% in total or 35 from 200 exchanges. The Dragon’s Whisper was tougher at 1% or 15 items in total. 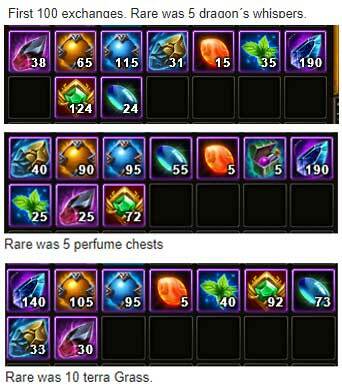 And Perfume Chest was similar to that as well. 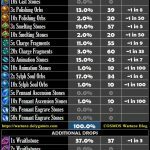 When it comes to other “Normal” item drops it was clearly observer that the smaller quantity of the 2 versions of the same item had about 11%-18% drop rate while the larger amount had a low frequency of 1%-3%. This is not surprising and logically would be expected. 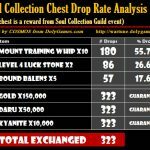 However, because of so many small quantities dropped the total yield from the 200 event chests I would say is not very high. Are you going to participate in this Exchange or plan to wait for better events later on? Hello COSMOS in advance thank you so much for ur great job. When u was doing that analysis did u use 100 at same time or so? Hi, thanks for appreciating my work. I know some players believe that there is a difference if you open 1 by 1 or in bulk, but there has never been any proof for this theory – it is more like a religious belief. 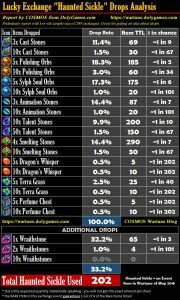 Long ago when I worked on a similar system the item drops were created simply by assigning probabilities to each item, which means that it has no meaning if one opens 1 by 1 or any amount – each opening has an X% chance for each item to drop.